Registration letters have been sent to directors for corps members to begin signing up for the Individual and Ensemble competition scheduled for Wednesday, Aug. 9, 2006 at the Overture Center for the Arts in Madison, Wis. 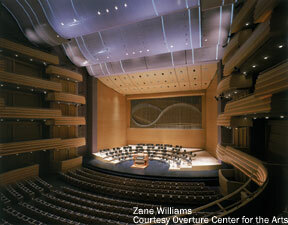 Opened in 2004, the Overture Center for the Arts is Madison's new performing arts venue. Designed around some of Madison's historic facades and encompassing a city block, the building's lighted glass dome illuminates Madison's skyline at night. Ensemble performers at the Individual and Ensemble competition will have the opportunity to present their programs on this world-class stage. 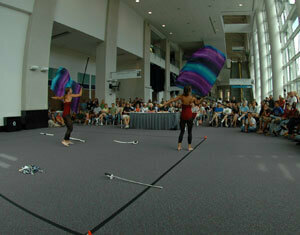 Individual performers will exhibit in venues that surround the theater. In an effort to allow as many performance opportunities as possible for drum corps youth, new for 2006, all-age corps members who compete in Drum Corps International competitions and are under the age of 22, or turn 22 on or after June 1 of the current year, will be permitted to compete. More information about the schedule for the 2006 DCI World Championships in Madison, Wis. Performers at the 2005 Individual and Ensemble competition in Providence, R.I.